In which The Gay Recluse exalts in the ruins of a scalloped pediment and self-referentially quotes an earlier post. This is where John McCain will be staying when he comes to Washington Heights next week. Lol. 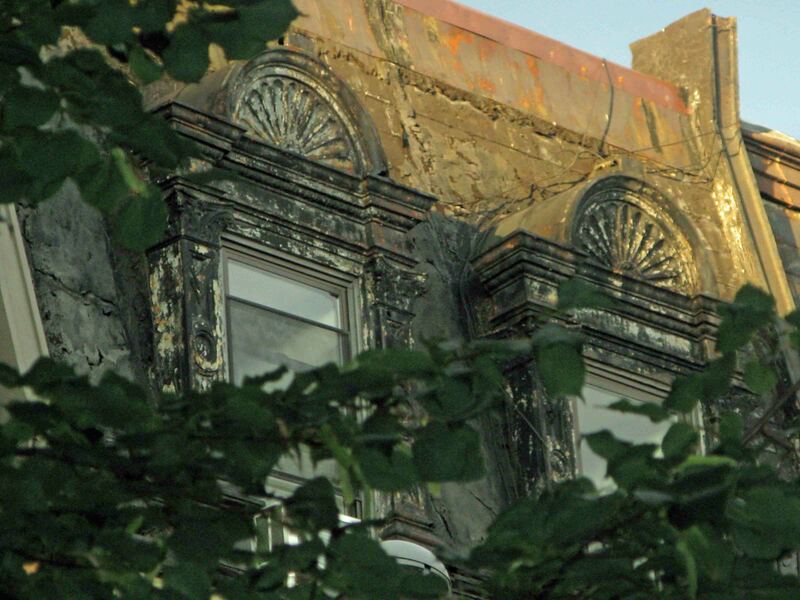 In Washington Heights we live among extremes of material decadence and breathtaking neglect, apparent in the crumbling cornices of Ft. Washington Avenue and eroding limestone facades of St. Nicholas, not to mention the tiled mosaics in the entrance foyers of the apartment palaces of upper Broadway — grand, tessellated spaces reminiscent of The Alhumbra — through which uncountable millions of apathetic feet have passed in the decades since their painstaking construction. Only here among the ruins can we permit ourselves the indulgence of a certain wistful nostalgia for the past, knowing it is one that we can never hope to regain.